What you need for bigger sculpts! 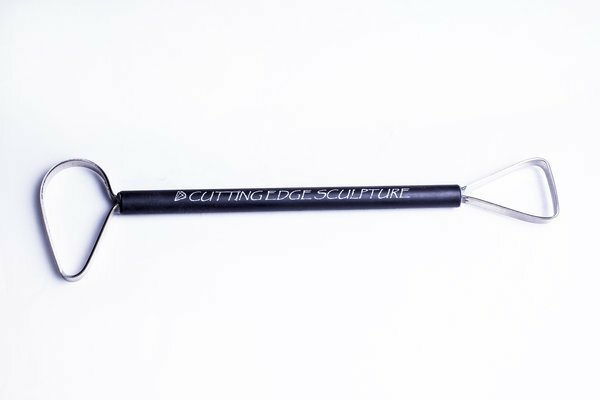 Hand-crafted, stainless steel double ended ribbon tool from Cutting Edge Sculpture for sculpting/clay modeling and pottery. Extra-large tools for extra-large sculptures! This is what you want for your next life sized bust, full body, or even a full size dinosaur or King Kong sculpture. They’re not just big, they’re extra strong too! Made with high quality 18GA (1.2mm) stainless steel ends, thick 3/8” (10mm) diameter brass handles wrapped in our rubberized no slip coating, and held together with a strong industrial epoxy. These tools are made with the professional artist in mind. Built to withstand the punishment of daily aggressive use! 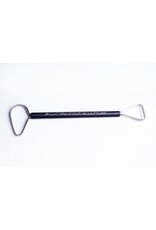 Simply put; they’re the toughest (and last) ribbon tools you can buy!